As the Autumn Term ends, we now have the dates and locations for next Term’s Melodrama Screening and Discussion Sessions. 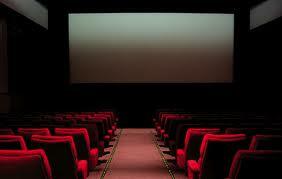 More information on the film titles to be screened will be posted in due course. Do log in to comment, or email me on sp458@kent.ac.uk, if you have any suggestions for screenings or other activities. We are very pleased to welcome Patrick Pilkington of the University of Warwick’s Film and Television Department to the University of Kent. Patrick will present a talk entitled ‘Laws of Desire: The Courtroom Trial Sequence in Classical Hollywood Melodrama’ which will take place on the 15th of December, Marlowe Lecture Theatre 2 (MLT2) , 5-7pm. The trial sequence is a longstanding feature of Hollywood cinema’s narratives, from the silent era through to today. Despite a rich and varied history, the cinematic trial is most often associated with what Francis M. Nevins (1984) terms the “Golden Age” trial film, a small number of Hollywood productions made in the 1950s and 1960s that believe in and reinforce notions of a working, just system of law (for example: 12 Angry Men, To Kill a Mockingbird). I contrast this representational mode, focused on active, male protagonists – often in the role of the legal professional – with the depiction of the courtroom trial in a number of female-centred melodramas of the period that place a female protagonist on the stand. 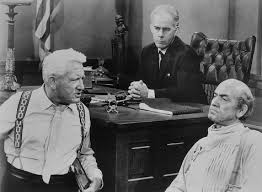 Paying special attention to films such as Written on the Wind (1956), Peyton Place (1957), and Madame X (1966), I locate a mode of representing the trial that is distinctly melodramatic in its emphases and conventions. The focus on the courtroom as a site of repression and revelation, and the designation of speech and silence during the trial, work alongside the employment of other conventions of melodrama including its hierarchical point-of-view and stylistic and narrative ‘excesses’. This produces a separate mode of representation that alternately works with and pushes against the conventions of trial depiction, giving voice to something other than a dominant, law-affirming point of view.